Since I have a bachelor’s degree in physics, I’m reasonably familiar with quantum theory and the mystery it presents with regard to the influence of an observer. I’ve even written a few blogs on the subject you can find here. I keep reading about quantum theory hoping for a deeper understanding but all I seem to discover is that no one really knows what’s going on, even several decades after its first discovery. However, this well-written book did explain numerous other things that helped my understanding of the various interpretations and the differences between them. Anyone who’s studied quantum mechanics in the slightest has probably read about Albert Einstein’s comment that he believed the Moon was there whether he was looking at it or not. This has never made sense to me since my understanding of “collapsing the wave function” is that if any conscious entity observes a quantum event it collapses into reality for everyone. Einstein’s primary objection was that a physical reality separate from observation had to exist, yet this was never proven to be the case. Think about that for a moment. Which is exactly what I’ve done. Since I’m not a PhD worried about tenure, funding or the future of my career, I can tread the line between physics and metaphysics and enjoy every step. The authors made it clear that the realm of physics deals only with the physical world. They are even annoyed when people introduce such things as human consciousness into their supposed realm. 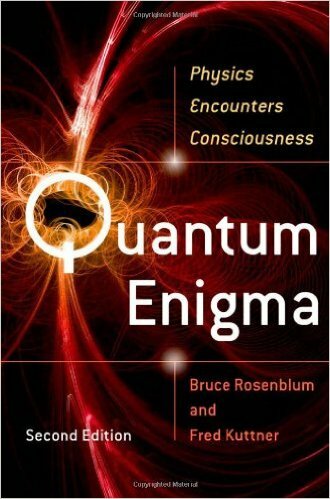 Yet the authors admit that the two remaining great mysteries today are quantum mechanics and what constitutes consciousness. The fact they don’t is the problem. Speaking of other disciplines, scientist Dean Radin has done numerous statistical studies on psi phenomena. While proving it exists in a physical sense cannot be done (yet), statistically he’s shown experimentally that its incidence exceeds probability. Another scientist, Roger Nelson, has shown the influence that can only be explained as the Universal Consciousness with his network of random number generators. I continue to marvel that physicists can propose the existence of parallel universes, multiverses, and thirteen or more dimensions while dismissing and even disparaging anything that relates to consciousness. Give me a break. Without consciousness they couldn’t even consider the meaning of the physical world. Note the use of the word “instantaneously.” Supposedly no information can travel faster than the speed of light, yet this is the case with entanglement. Radin has shown psi to be instantaneous as well. 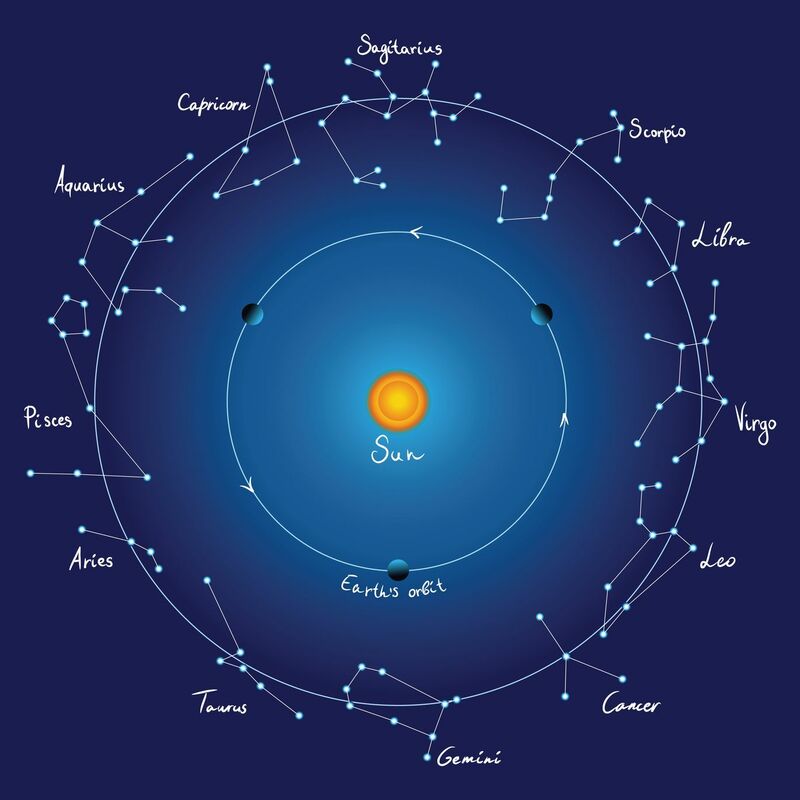 My personal opinion is that when a person is born, the configuration of the cosmos is imprinted upon them in the form of entanglement which is represented in their birth horoscope or natal chart. They then respond as changes, i.e., movement of the stars and planets, affect their psyche. Truly this is a stretch, but there’s nothing in quantum theory that can prove this is not the case. 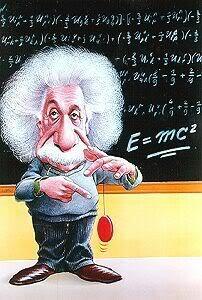 Nonetheless, scientists are typically offended when someone such as myself even speculates on such possibilities. Fortunately, as a science fiction writer, I can have all sorts of fun with such things there as do various other scientists to avoid compromising their position in their highfalutin community. I thoroughly enjoyed the fact that there was nothing in this book that negated my opinion. If anything, I obtained even more scientific theory to support it. I understand more thoroughly as well that physicists fear to tread outside their domain of the material world and to touch on anything that borders on parapsychology because it can result in professional suicide. 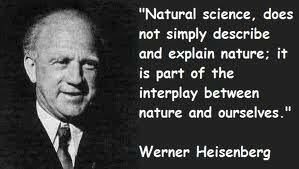 How sad that science has become so specialized and compartmentalized that professional tunnel vision precludes solving some of life’s greatest mysteries while those of us who think outside the box are ostracized by their peers and even looked upon as ignorant fools. Which side best fits that description only time will tell. You can pick up a copy on Amazon using this link.